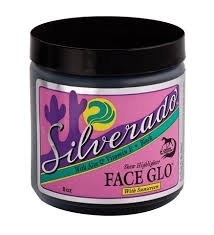 Silverado Coat Gloss – Ready-to-use hair polish, spray-on highlighter helps repel dust, dirt, grass, urine, leather and manure stains. 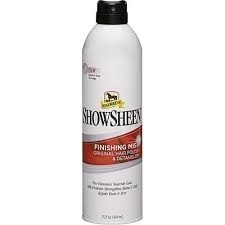 Long-lasting formula; groom once, keeps horses clean for days. 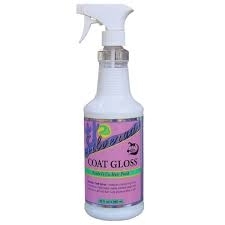 Simply spray onto clean coats, manes and tails then brush or massage in. Repeat by misting lightly. Can be applied to dry coats. World Champion Pepi Coat Conditioner 11.6 oz. World Champion Pepi Coat Conditioner contains all-natural ingredients that will not dry or damage hair or irritate horse's skin. 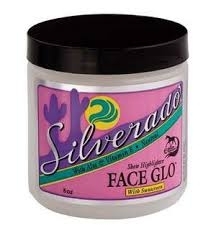 Brings out the natural highlights and gives the hair a healthy, natural-looking shine. 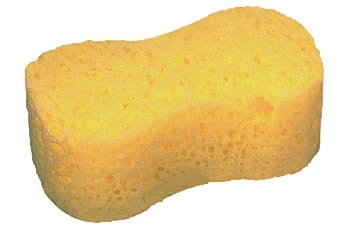 Ideal for face, belly and leg grooming, this sponge features a contoured shape for an easy grip. Measures 3in H x 8-3/4in L x 4-3/4in W.
EQyss Flea-Bite Pet Spray Dog & Cat 16oz. Natural repelling properties. The safer natural power of citrus. 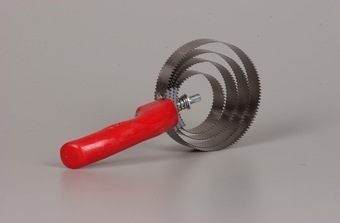 This triple-action system is different than any other product made. It also contains effective medicated ingredients to stop itching and moisturizers to soothe irritation. Will not dry out the skin. No product is more complete. Compatible with other spot flea treatments. 100% alcohol-free. For faster relief use with the Flea Bite Shampoo. 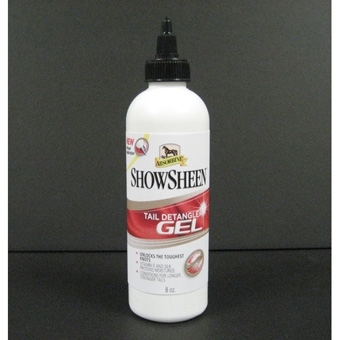 Absorbine Showscreen Tail Detangler Gel 8oz. Restores strength and moisture to manes and tails. Keeps hair healthy with a high-gloss finish. Formulated to leave hair full, manageable and shiny. Moisturizes with Vitamin E. No greasy residue. Can be used wet or dry. Safe for all hair types. Andis Cool Care Plus for Clipper Blades 15.5 oz. Five in One formula is a coolant, disinfectant, lubricant, cleaner, and rust preventative for clipper blades. 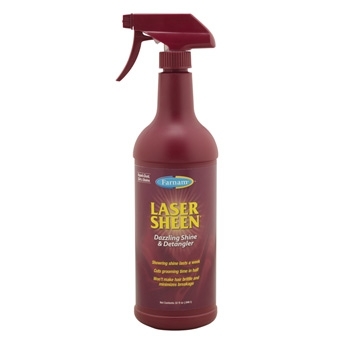 Laser Sheen Conditioner Dazzling Shine/Detangler 32 oz. 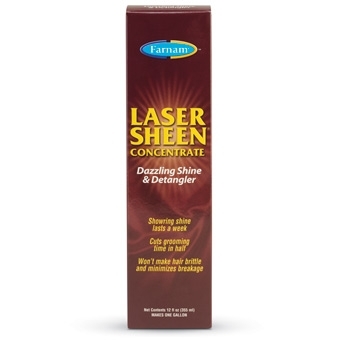 Laser Sheen Conditioner Dazzling Shine/Detangler 12 oz. 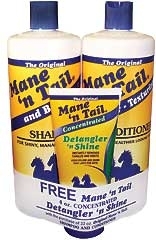 Mane 'N Tail Promotional Pack contains 32oz shampoo , 32oz conditioner, and 4oz Detangler 'n Shine concentrate in a eye catching bundle. Spray bottle with adjustable nozzle. Use for fly repllent, disinfectants, hair/coat apray, veterinary products, leather conditioners, and many others. 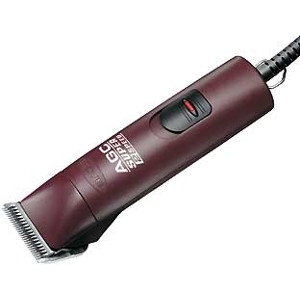 An excellent all around grooming comb. 9 inch plastic. 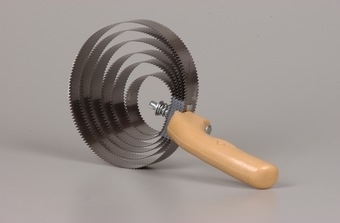 Continuous heavy spring steel with decker pattern. Non-irritating round point teeth on one edge and fitch pattern sharper teeth on opposite edge. 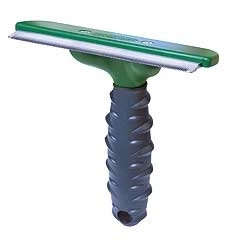 Fiberglass grooming block that is the easy, low-cost way to remove loose horse hair, dust and dirt. Leaves the horse's coat slicker, shinier and well shed-out quickly. 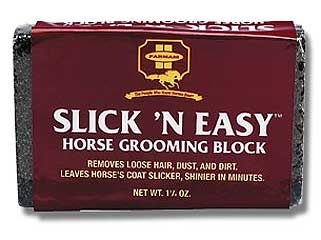 Each Slick N Easy grooms 10 - 12 horses. 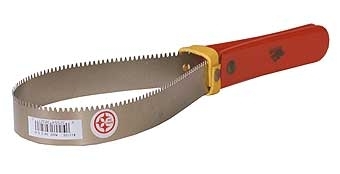 Single blade, smooth rounded curry comb teeth on one side for shedding and heavy cleaning. On the other side smooth for sweat scraping and water removal. 23ft.long when open or use in a loop. 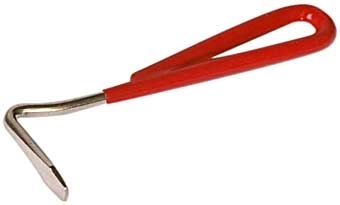 5 1/2 inch hoof pick.